This is the airsoft licensed version only. 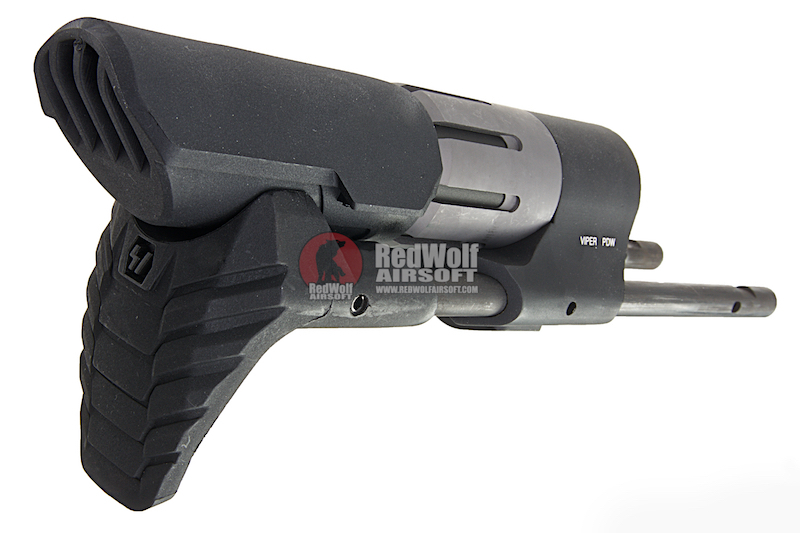 Strike Industries Viper PDW stock represents the pinnacle of ultra compact PDW systems. 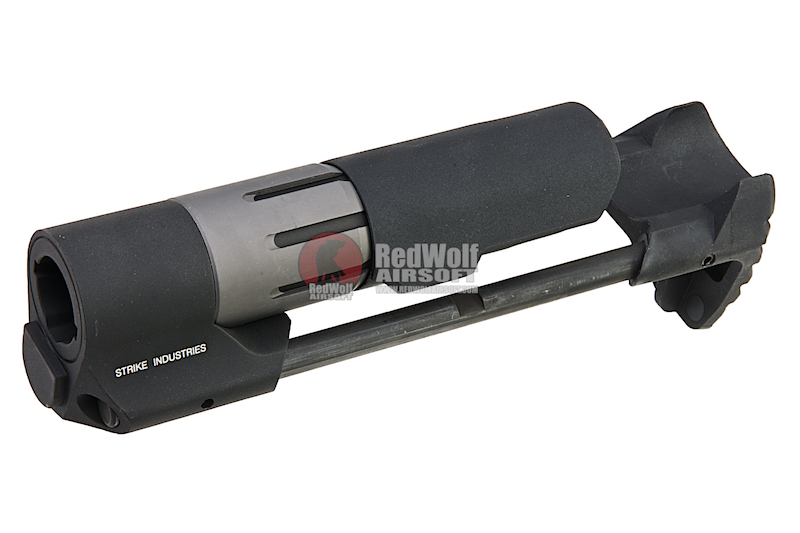 At the compressed position, the compact Viper PDW allows for effortless maneuverability particularly in close quarters and vehicular operations. With the press of a button, the rapid deployment system instantly springs to the extended position for greater shot stability. 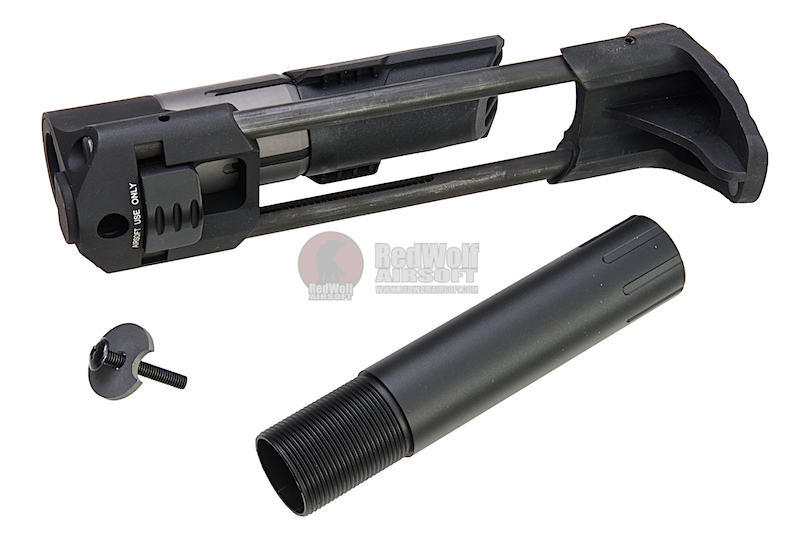 Previous PDW systems for ARs have been notorious for expensive proprietary systems, spotty reliability and poor ergonomics. 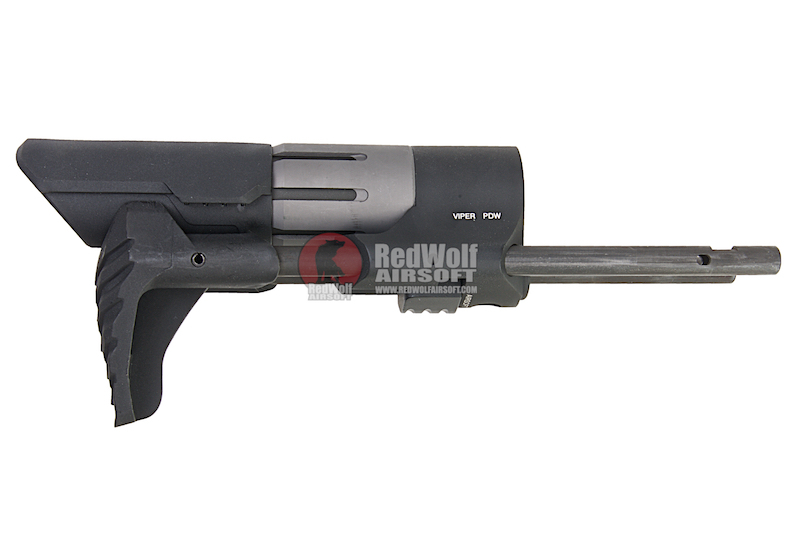 Please note this stock is for airsoft only, this is NOT the actual strike industries viper pdw stock. 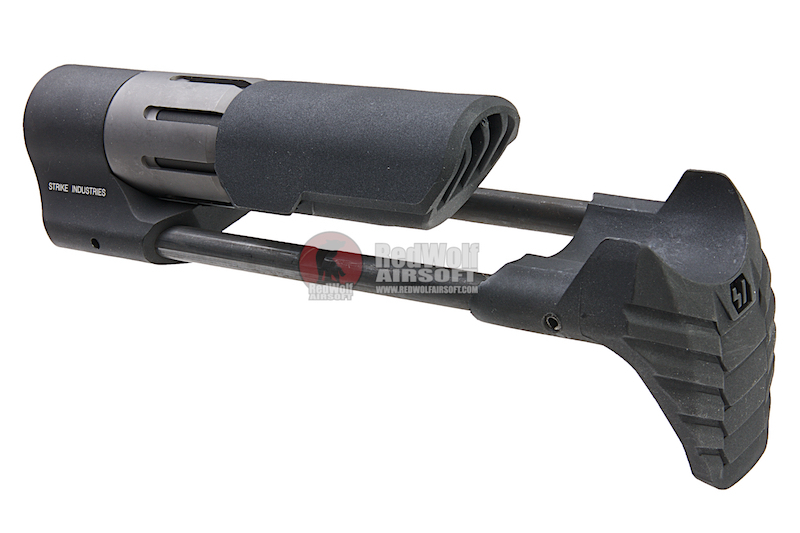 This stock is designed to work with AEGs only. *FOR AIRSOFT ONLY. *FOR AIRSOFT ONLY. *FOR AIRSOFT ONLY.